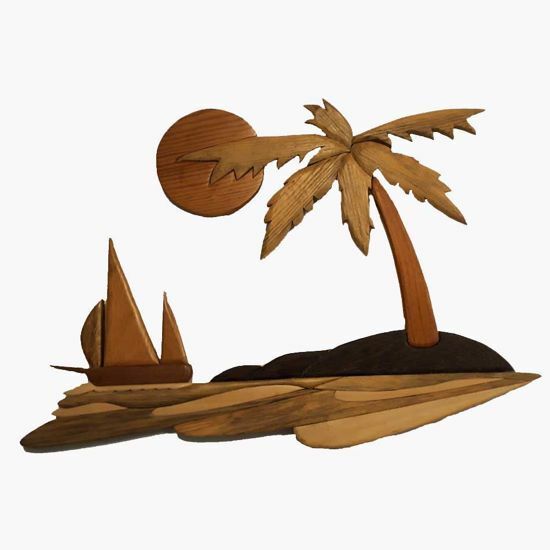 Intarsia Wood Art made by solid wood - "Sailboat". 3D Wall Art for your Living Room as a Rustic Home Decor. An Original Artwork for You. The Sailboat is made up of 25 separate pieces of wood. There are nine different types of wood: Pine, Blue Pine, Sapelli, Wenge, Beech, Doussie, Oak, Poplar, Linden. They are glued together on an MDF panel. There is no dye and stain involved. You see the natural colors of different types of wood. Wood has been finished with Linseed oil.